Wishing all my readers a very Happy Makar Sankranti! This Harvest Festival is celebrated across India with different names like Pongal in the South of India, Lohri in Punjab, Bihu is Bihar and North East or Makar Sankranti in Gujarat and Maharashtra. 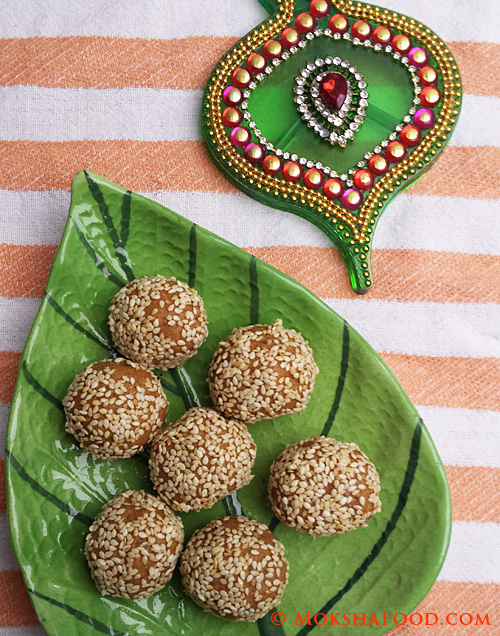 In Maharashtra, its customary to offer a tilgul - a crunchy sweet ladoo/ball made up of sesame and jaggery and wish by a funny saying "Tilgul ghya ani god god bola" which translates to have this sweet and speak sweetly. Tilgul is made by adding roasted sesame seeds and roasted peanuts in a hot jaggery syrup and quickly rolling into balls/ladoos. If made the right way its a sweet crunchy ball but God Forbid if it goes wrong, it turns hard enough to crack your tooth. To get them right, you need a special kind of jaggery called Chikki Gul which is available in the Indian Market during this time. Since i don't have access to this jaggery, i didn't want to risk my family's dental heath by trying the traditional ladoo. Mom makes the best ones and am just going to have to miss them this year. But i wanted to make something out of sesame and peanuts to celebrate this festival. 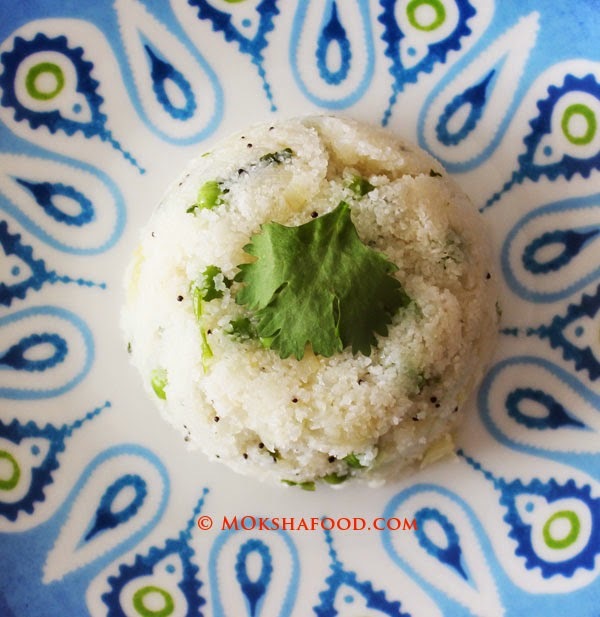 I saw this amazingly easy, almost no cook ladoo on a Marathi cooking show called Archana's rasoi. I adapted the recipe and added my own touches to create a cheater tilgul which closely resembles the original. This is a softer ladoo compared to the traditional crunchy one but we loved the taste. If you get pre-roasted nuts, then this is a no cook recipe. But i have made it from scratch by roasting the nuts and grinding my own powdered sugar. 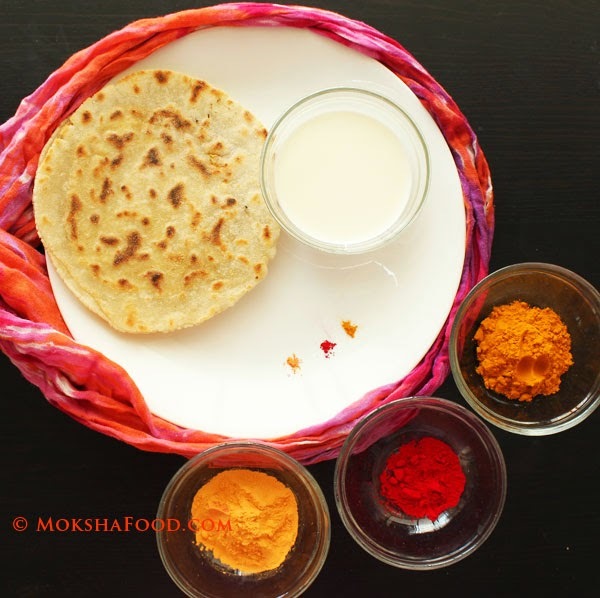 Its still a very simple recipe which i made with my daughter and it was a fun activity together. 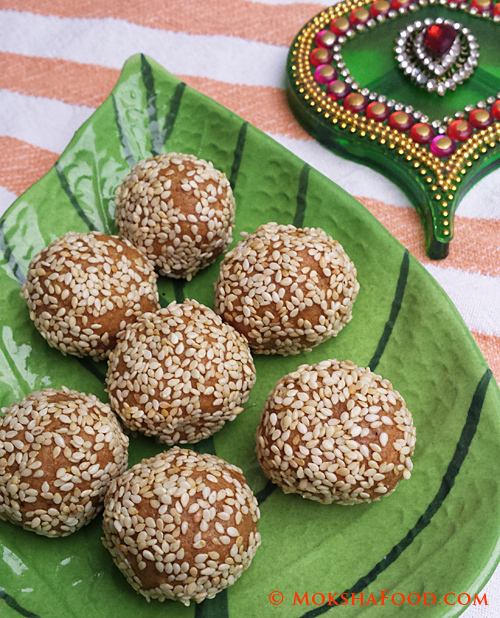 These ladoos/balls are healthy snack or dessert which you can pop anytime for a protein boost. Dry roast the peanuts till brown. Cool and rub between you finger to de-skin them. Grind few at a time to a fine powder taking care it doesn't release its oil. Grind the sugar to a coarser powdered sugar. Dry roast the sesame seeds till they change color slightly. Remove and keep aside. In a big bowl, mix together the peanut powder and powdered sugar. 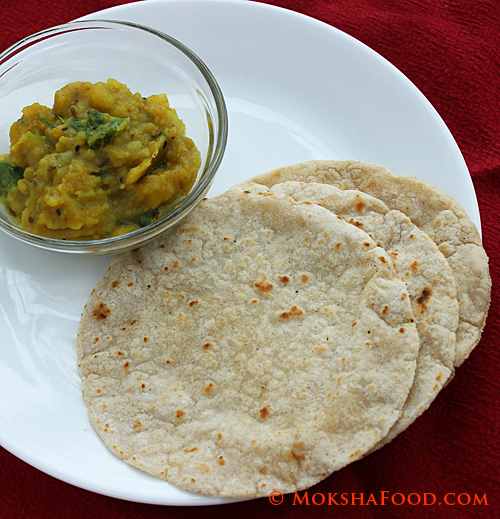 Add a tablespoon of ghee at a time and mix it in. Texture should start to look like bread crumbs. Take a fistful of the dough and press hard to mold it into a ladoo/ball. Add more ghee if required. Prepare all ladoos in similar way. Gently roll each ladoo in the sesame seeds. Tilgil Ladoos are ready to be served as a healthy snack or dessert.